WASHINGTON – The federal government identified two sites in Arizona Tuesday as hot spots for solar energy, part of a larger plan to spur development of utility-scale solar projects in six Western states. The Arizona sites, in Brenda and Gillespie, cover just under 6,000 acres and have the potential to generate 663 megawatts of electricity, the Interior Department said. In all, the department and the Bureau of Land Management selected 17 sites covering 284,918 acres in Arizona, California, Colorado, Nevada, New Mexico and Utah with the potential to generate 31,000 megawatts of energy. Applications for a power project in one of the zones will get “faster and easier permitting, improved mitigation strategies, and economic incentives,” the department said. The zones were selected for their “excellent solar resources, good energy transmission potential, and relatively low conflict with biological, cultural and historic resources,” said a department news release. In selecting the zones, the government passed over 19 million acres that it put into a “variance” category, which means those lands could be developed for solar, but will not be given preferential treatment. Those acres concern some conservationists. 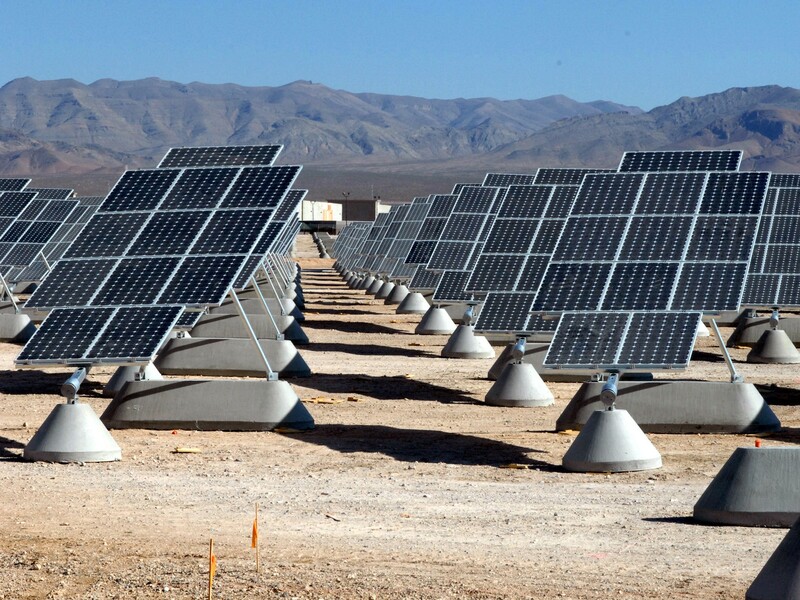 Arizona has 3.38 million acres of proposed variance land, with 28 pending applications for solar projects on them. Others said they would like to have seen more, or larger, zones identified by Interior and BLM. “I think the BLM could have identified more zones,” said John Shepard, senior advisor for the Sonoran Institute, which advised the bureau on the solar zones project. 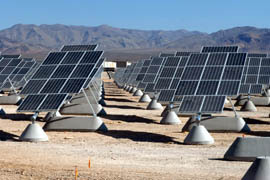 For the sake of fairness, however, the bureau decided not to include more than 400,000 acres on which there were already applications for solar-power projects, Shepard said. The hope is that applicants will gravitate toward the solar zones, said Ian Dowdy, conservation outreach associate at Arizona Wilderness Coalition. But if the zones prove popular, he worried that there might not be enough designated land in Arizona. But the environmental impact statement released with the project notes that the government can expand the zones in the future. Salazar called Tuesday’s announcement a “blueprint” for renewable energy policy for the future. The government identified 17 solar energy zones in six Western states as areas where business opportunity is high and environmental risk is low, and where it hopes to speed development of utility-scale solar power projects. The Bureau of Land Management identified two "solar energy zones" in Arizona, in Brenda and Gillespie, covering almost 6,000 acres with the potential to generate 663 megawatts of electricity.